American teenager Sloane Stephens notched the biggest victory of her career when she defeated fellow American Serena Williams in the quarterfinals 3-6, 7-5, 6-4 to advance to the semi finals of the Australian Open. The two met for the first time just earlier this month, with Williams winning in straight sets, but Stephens was able to win this matchup after losing the first set. It is the first time she has advanced to the semi finals of a Grand Slam tournament in her career. In fact, it is the first time she has made it passed the fourth round of any Major. Though this is an epic win for Sloane, let’s take into fact that an injury to Serena in this one definitely played a major factor. After grimacing, Serena’s serve lowered in the next game by 19 miles per hour, from 107 to 88, a clear sign she wasn’t 100%. Let’s be clear: Serena’s serve is her biggest weapon, and she was lacking it for the second half of the match. 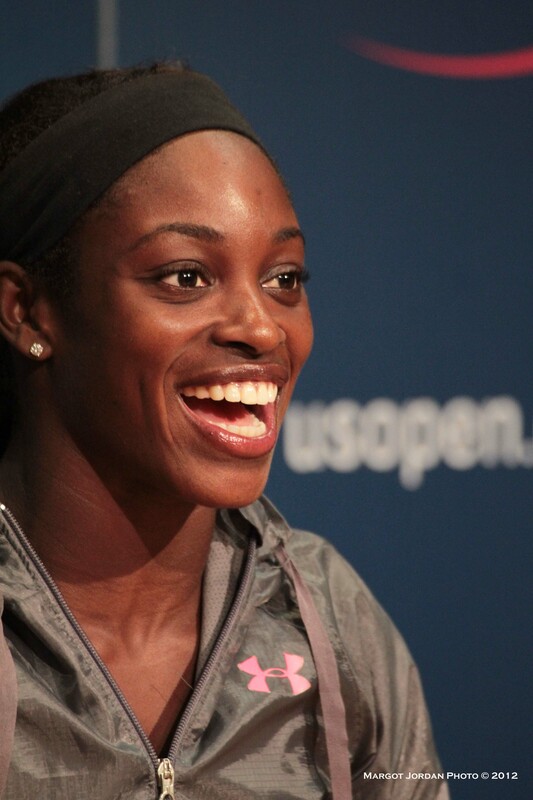 Still, lets not take anything away from Sloane Stephens. She competed throughout the match and was able to overcome the mental aspects of Williams exiting the court for her injury. I can’t imagine what would be going through her head, sitting there all alone for several minutes as she is playing one of the greatest tennis players of all time. This is the first time Serena Williams has lost in the Australian Open after winning the first set. She was 48-0. Let’s hope that Serena Williams recovers from whatever injury she suffered and returns to the tennis court in the not-to-distant future. One thing is for sure, with the Sloane Stephens victory over Serena Williams, there will be plenty of eyes watching the next match they play. Sloane Stephens will play Victoria Azarenka in the semi finals of the Australian Open. She’s moving on up! I first caught her early last saturday morning. She defeated another teenager. I saw the potential. She then won her next match. And by chance I caught the Serena match last night. I didn’t think she would beat Serena. Not to make excuses for Serena’s back injury. Sloane won fair and square. As a handicapper. I’m predicting a Wimbleton victory in 2014. You can take that to the bank! Cheers.